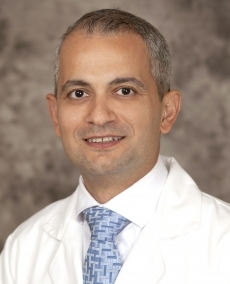 Dr. Issam Nasr is a board certified Gastroenterologist. He attended and graduated with honors from medical school in 2002. He completed his Internal Medicine residency and Gastroenterology fellowship at University of Iowa. In addition, Dr. Nasr completed advanced endoscopy training in 2011. He has extensive training and experience in a wide range of complex digestive diseases. In our area, he is one of the very few GI doctors who are fellowship trained in Endoscopic Ultrasound (EUS) which is a minimally invasive procedure to assess gastrointestinal disease. Note:- The list below is for reference purposes only and is subject to change. Please check with your health plan to confirm that Issam Nasr, MD is included before scheduling an appointment.